The cholera outbreak in Yemen which began in April, has now claimed 2,000 lives and has infected 500,000. The nation has been suffering from what the World Health Organization (WHO) describes as the “largest epidemic in the world” amid a civil war and non-stop bombing campaign led by Saudi Arabia. While the outbreak slowed in July in the worst affected areas, the waterborne disease continues to spread to new areas, creating additional strain on the limited resources available to deal with the crisis. "The response is working in some places. We can tell you that surveillance confirms a decline in suspected cases over the past four weeks in some of the most affected governorates," WHO spokeswoman Fadela Chaib told a news briefing last Friday, as cited by Reuters. There are 5,000 new cases of cholera a day in Yemen with the current total standing at 503,484, according to Reuters. Cholera causes acute diarrhoea and dehydration and the disease is spread by the consumption of food or water tainted with human feces. The country’s waste management and water treatment infrastructure has been severely damaged during the two-year civil war, which has killed more than 10,000 people, according to Reuters. This leads to ever-increasing risk of infection, particularly in major population centers. The clean water supply is severely curtailed in the majority of the country and waste collection has ceased in major cities. This two-pronged health crisis has pushed Yemen’s health service to the brink of collapse. 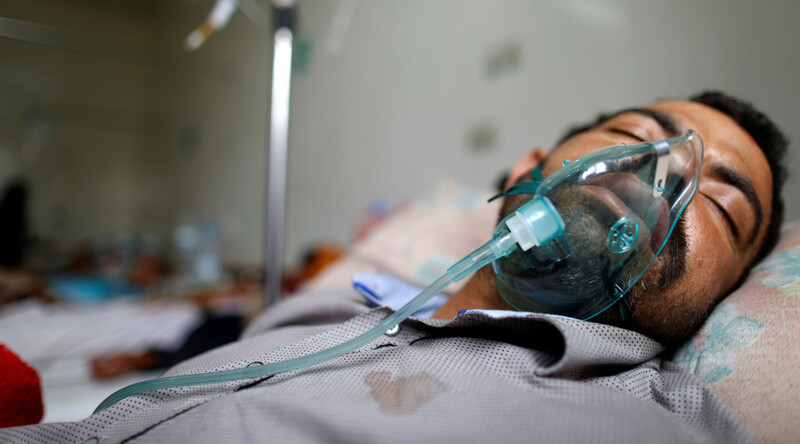 More than half the country's medical centers have been bombed or closed due to lack of funds, there are widespread shortages of basic medicine and medical equipment necessary to treat the disease and 30,000 Yemeni health workers have not been paid this year. "Yemen’s health workers are operating in impossible conditions. Thousands of people are sick, but there are not enough hospitals, not enough medicines, not enough clean water,” said Dr. Tedros Adhanom Ghebreyesus, WHO Director-General. “These doctors and nurses are the backbone of the health response – without them we can do nothing in Yemen. They must be paid their wages so that they can continue to save lives," he added. The survival rate for those who have access to the necessary medical treatment is 99 percent, however, the conflict has curtailed access to basic medical services in the country. Recently, the president of the International Committee of the Red Cross (ICRC), Peter Maurer, called the cholera outbreak in Yemen "manmade," saying the deaths of many civilians from diseases "is a direct consequence of more than two years of warfare." Up to 600,000 Yemenis may be exposed to cholera by the end of the year, ICRC previously warned. With vital health infrastructure having been destroyed across the country amid the ongoing conflict and constant airstrikes led by Saudi Arabia, leading humanitarian organizations have singled out the aerial bombing campaign and blockade as the root cause of the horrific humanitarian situation in the country. However, despite constant UN condemnations, Saudi Arabia continues its military campaign in Yemen, while Britain and US remain one of Riyadh's main arms suppliers, having licensed millions-worth sales of military equipment to the Saudis.